I have been thinking about making tongue tacos lately. I know, many might think of this being gross, however if you have never ordered ‘lengua’ from your local tacqueria, well you are missing out. The great thing about using other cuts of beef are that they are not only tender, but the beef flavor escalates into something extraordinary, and to me that is pretty awesome. So this past weekend when I was shopping for both Asian and Mexican ingredients, and devouring some great tacos from El Rey in Milwaukee, I decided to browse around and try to find tongue. They had pork tongue, but not beef, but with that said, I saw this great package of beef cheeks. I was all in. I was not going to let my family know what I was making, and as far as they knew, it was just beef. If I mentioned beef cheeks, I knew that they would probably hesitate, and back out from trying it. So the night before, I decided to brine it, as I would have if making beef tongue. Trust me on this one, find and make beef cheeks. Make your brine by adding everything but the beef cheeks to a stock pot. Bring to a simmer, stirring along the way, ensuring you dissolve the salt and sugar. Once dissolved, remove from the heat, and let it cool. Add the beef cheeks to a large sealable bag and pour in the cooled brine. Seal and place in the refrigerator overnight. The following day, pour out the brine, and add the beef cheeks to a large saute pan or dutch oven. Add about 2 cups of water or beef stock, bring to medium heat, cover, and cook for about 3 hours. Reduce the heat to a medium-low once it comes to a boil. After 3 hours, remove the beef cheeks onto a plate, and let them cool. Once cooled, slice and then chop the beef cheeks. When you are about ready to serve, heat a large skillet on medium-high heat and add in the oil. Add as much beef cheeks as you want, and cook until those beef cheeks get a nice sear on them. You want to get that great crispiness on it. 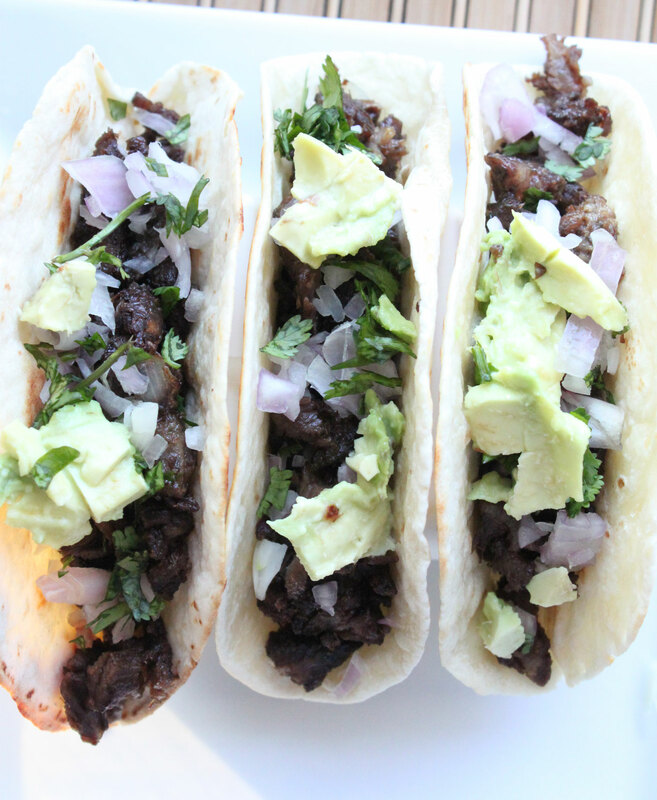 When you are ready to serve, add the beef cheeks to a warm and toasted tortilla, top with fresh cilantro, minced shallot, a bit of avocado and a squeeze of lime juice. Repeat. My son, who is now getting into onions, and one that was lingering around when I was making these tacos, tried one (I was surprised as he was not a fan of avocado, but was convinced by my sell) and devoured it. 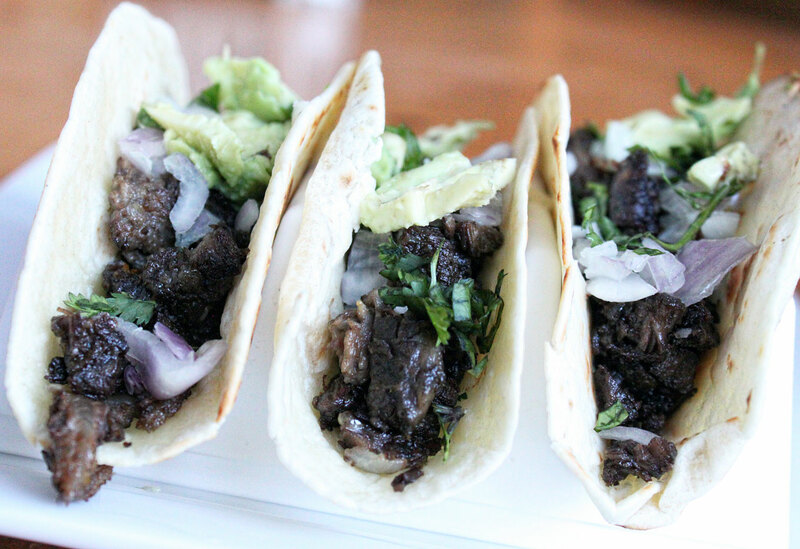 These beef cheek tacos are probably now my favorite, and I do not kid you when I say that. The texture was spot on, and the beefiness escalated from that of skirt or flank steak, plus a heck of a lot cheaper. 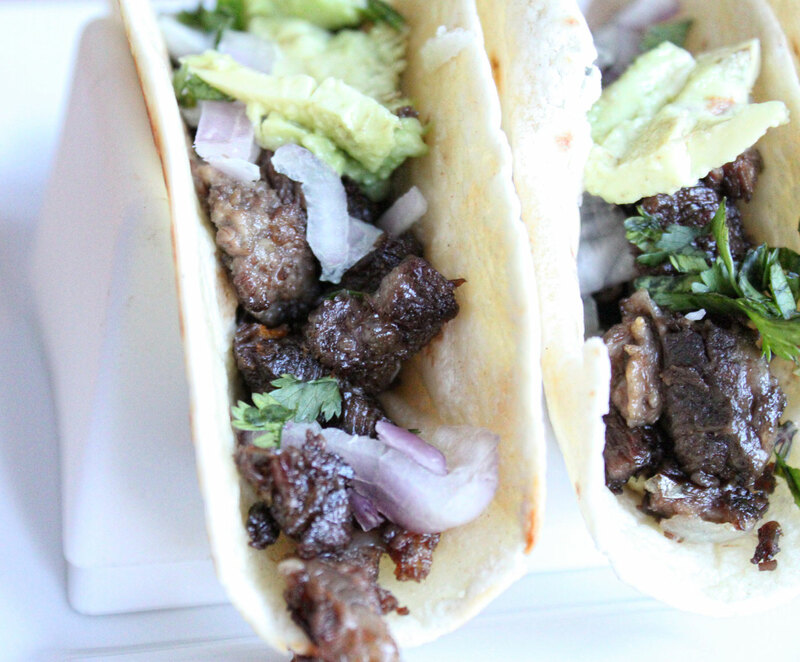 Give these a shot if you are looking from some really great beef tacos. Hope you enjoy! Make your brine by adding everything but the beef cheeks to a stock pot. Bring to a simmer, stirring along the ways, ensuring you dissolve the salt and sugar. Once dissolved, remove from the heat, and let it cool. After 3 hours, remove the beef cheeks onto a plate, and let them cool. Once cooled, slice and then chop the cheeks.